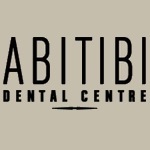 Abitibi Dental is a family dental clinic, which can become your dentist friend. This way, you can be sure that your child will have the strongest and healthiest teeth, and that all the dental problems of your husband are resolved. Professionalism will welcome you since the first contact with this clinic. You will be welcomed by friendly personnel, which will prepare you for cosmetic dental services, extractions or treatments. At Abitibi Dental Centre, you will be offered complete services, from Invisalign techniques to advanced orthodontics, which are required for some children. Dr. Dimitry is known for his skill with dealing with children, and some of them say that it is a pleasure to come to this doctor. The secret of this clinic is not only based on the skills of Dr. Dimitry, but also on his team of assistants. They are always there to help you with any dental problem, and to help you overcome the normal fears that appear when visiting a dental cabinet.